Are you good enough to be an “A” player? Want to know if your shooting and positioning skills can compete against the top players? 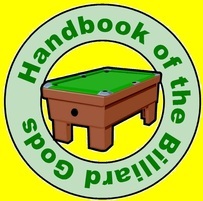 The layouts in this book provide a series of common but difficult shots that require excellent pocketing skills with strong cue ball positioning abilities. Always start practice sessions with warm-up shots and then whatever routines you planned. Use the table layouts to determine improvements. Some improvements can be observed on a week-by-week basis. Other improvements will take more time and are only identified on a month-by-month basis. Object: Pocket the 1 ball, and then pocket the 2 ball.